Home / Sari Soutor, Ph.D.
Dr. Soutor grew up in Minnesota and received her undergraduate degree from Northwestern University. She received her doctorate degree in clinical psychology from Virginia Commonwealth University in 2005. Matching for her pre-doctoral internship in pediatric psychology/neuropsychology at Primary Children’s Medical Center allowed her to quickly appreciate life in Utah. Dr. Soutor’s specialty training is in neuropsychological, psychological, learning disability, and autism spectrum disorder assessment. 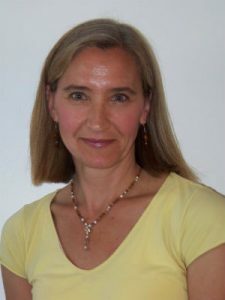 Although she has provided clinical service to children and their families for well over a decade, she acknowledged that she is continually fascinated by the complexities of the brain, the human psyche, and how individuals relate to one another. Dr. Soutor likes to say that it’s all her parents’ fault that she settled far away from where she grew up. Very early in her life, she learned that “West is best” through annual family camping trips. Somehow, she has retained only good memories of a family of seven in a tent trailer. She visited 23 states on those trips and another 26 on her own, bringing her to a comical total of 49.